In 1851, a radical design schooner emerging from the mist to sail smoothly past the royal yacht (Royal Yacht) parked in the Solent, between the Isle of Wight and the south coast of the UK, in an afternoon at the Queen Victoria watched a race. When the sailing ship the america, named America, past the Royal Yacht in initial position and waved his flag three times, Queen Victoria asked one of his assistants who had finished in second place. "Your Majesty, there is no second" was his answer. That phrase is still best describes the essence of the America's Cup, and no other has managed to focus the same way how this competition is the pursuit of excellence. One day in August 1851, the yacht America, representing the then young New York Yacht Club, beating the best English vessels, winning the Royal Yacht Squadron's 100 Guinea Cup (Trophy of the 100 Guineas at the Royal Yacht Squadron). That would be much more than just a race, as it symbolized a magnificent victory in the New World on the Old, who snatched a win to Britain's maritime power status unbeatable. Trophy cross the ocean to the young democracy of the United States, where he remained for over a century before anyone could take him to New York. Shortly after America won the Trophy of the 100 Guineas in 1851, the commodore of the New York Yacht Club, John Cox Stevens, he sold the boat, and with the rest of their union returned to New York as heroes. The trophy would be donated to the New York Yacht Club under a Deed of Gift, a document still states that this tournament is a "friendly competition between nations." Thus was born the America's Cup, named after the yacht America won the trophy, not the country. The first defiant (defiant) would be the British James Ashbury, which would compete against a fleet of the New York Yacht Club in front of Staten Island-New York in 1870. After lengthy discussions on the conditions of the race, Cambria Ashbury ended tenth of a total of 17 boats, committing a second challenge for the coming year. The America's Cup in 1871 would be the forerunner of many legal battles to be fought over the trophy for the next 100 years. After consulting with his lawyers insisted Ashbury compete against a single boat and not against a fleet, and protested both the test scores as the Race Committee that established the route. In the end, come home complaining of lack of sportsmanship of Americans and insisting that he had won the America's Cup in vain. The next two CHALLENGING come from Canada, but would never be a match for the Americans, who easily defeated them. 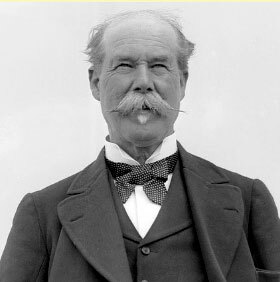 Before the turn of the century would be submitted six other challenges, including the first of which was known as the Lipton for the America's Cup Sir Thomas Lipton, tycoon Irish / Scottish tea, would challenge a total of five times between 1899 and 1930 . It would become lovable loser, a man whose natural willingness to address obstacles was finding in his way to become a hero, while promoting their business interests in America. Sir Lipton - Lipton challenging well americaSi cup was never to win the America's Cup, sport sponsorship would be a pioneer, for he could see and enjoy the benefits of this practice at the time was unknown. The ultimate challenge of Lipton was in 1930, in the initial edition of the new Class-J. That would be a particularly beautiful time of sailing ships, jewels of enormous masts and huge sail area riding the waves of Newport, Rhode Island (United States). Harold Vanderbilt was elected to defend the New York Yacht Club that year, which he did successfully. The Second World War marked the end of the Class-J, and when the America's Cup back in 1958, was made to start the 12-Meters. Americans successfully defend the trophy eight times over the next 25 years. Unfortunately, in 1939, seven of the ten Class-J built were used as scrap for the war. The three survivors sailboats, all competing editions of the 1930s, were restored and still surf. The Class-J are still present today in the events surrounding the America's Cup Match. In 1970, several clubs were interested to challenge for the America's Cup, and initial time was set a competition to determine who would be the Challenger that will challenge the Defender, the New York Yacht Club. The company Louis Vuitton would begin its relationship with the America's Cup in 1983, sponsoring the Challenger Selection Series since then adopt the name of Louis Vuitton Cup The initiative arose for two purposes: to develop and identify the Defiant more powerful for the America's Cup, and ensure that it had sufficient experience and training to successfully tackle the daunting task of defeating the Defender. The various Defender had been involved in these series of selection during most of the century, but until recently had only a single Defiant. THE AMERICA'S CUP LEAVES U.S.
Australia was one of the challenging countries in the 1983 edition, and the team of 'Down Under' came with a secret weapon. The Australia II wore a flag with a kangaroo in boxing pose when he was hoisted out of water, and surprised everyone when he showed for the initial time his revolutionary winged keel, a design that gave the 12-meters faster in most conditions. The Australians had kept the secret tarps hanging from the deck to hide the keel when the boat was hoisted out of water, promoting all sorts of speculation about what they hid. Dennis Conner, 'Mr. America's Cup ', was in charge of defending the trophy that year, and would face the Australians, who were able to go climbing spots to win the initial Louis Vuitton Cup that summer of 1983, the America's Cup was on every newscast and was carried in the newspapers. There was a special sense of history at the time, but to everyone's surprise, the 132-year unbeaten streak in the New York Yacht Club was coming to an end. Technical problems aboard Australia II would allow Conner early lead in the series best of seven sleeves, but the Australian captain, John Bertrand, dated back up to a dramatic 3-3. The seventh and final race would be a summary of the rest of the series, with Conner's Liberty leading much of the route under conditions of low winds and unstable. Was not until the last downwind leg to see how Australia II was placed in front, defending his position fierce attack of his rival until you cross the finish line first. For initial time in 132 years, the America's Cup left the windows of the New York Yacht Club. Dennis Conner, representing the San Diego Yacht Club, won the right to revenge in 1987, a disputed issue in Fremantle (Australia). Conner was imposed in the Louis Vuitton Cup to become defiant, before completing a resounding 4-0 in the Final. That America's Cup provided a considerable performance in the water thanks to the famous "Fremantle Doctor", strong offshore winds that caused stunning evening sailing conditions with big waves that tested the skill of the crew and the resistance of the sail. Dennis Conner, president received with honors and a parade in style in New York, took his time before setting the details of the next edition. New Zealand, using an interpretation of the Deed of Gift would demand an immediate challenge for 1988. The result of that lawsuit was an unusual confrontation in the original America's Cup contested by two yachts totally different: Kiwis had a huge monohull of 134 feet and Conner catamaran smaller but faster, equipped with a revolutionary hard rig. The best series of three races went to Americans, and after a long battle in court, the teams spent more time fighting in offices than in water ¬ - the result prevailed. If anything good came the fiasco of 1988 was the creation of a new class of modern sailboat design, ideal for light winds of San Diego: America's Cup Class. 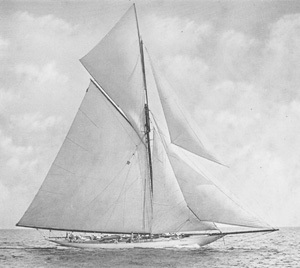 The ACC was created under a strict rule that stipulates that all boats should have a similar appearance, although designers have sufficient scope to improve performance. This freedom would allow models to be progressing from one generation to another. 1995 would be the year of the Kiwis. Led by the fierce determination of Sir Peter Blake, and guided by the magical hand of Russell Coutts at the helm, New Zealand's Black Magic dominated the challenging San Diego. Little could the Young America by Dennis Conner and Paul Cayard to defend the trophy, which for the second time returning to the Southern Hemisphere. The team of Sir Peter Blake declared he would not place any number of selection Defender, Team New Zealand and focused on training, building on the momentum of their young talent to bring to Coutts on the edge. At the same time, the Louis Vuitton Cup 2000 offered what is considered by many as the best two weeks of racing in the history of the America's Cup Prada Challenge survived the Italian American Paul Cayard's AmericaOne, taking the best-of- nine 5-4. The match was not only equaled, but some of the races offered the spectacle of two sailing ships stuck with constant lead changes until the end. But despite the competitiveness shown during the Louis Vuitton Cup, Luna Rossa Prada would be no match for Team New Zealand. Captain Russell Coutts would soon lead the Kiwis to a convincing 4-0 (tying the record for consecutive wins in America's Cup set by Charlie Barr 100 years earlier), before offering the helm in the final manga Dean Barker, who at 26 years of age would thus become the youngest captain winning the America's Cup domain shown by Team New Zealand would be such that it seemed that the America's Cup would stay at the Royal New Zealand Yacht Squadron for long. But shortly after his victory, Russell Coutts and most of the members of Team New Zealand announced his departure to another computer created from scratch by the Swiss entrepreneur Ernesto Bertarelli. Within months, in a scene reminiscent of bygone eras, many successful businessmen announced their intention to fight for the trophy. With Patrizio Bertelli, the fashion house Prada, the Italian returned to the arena of America's Cup, also involving three U.S. teams, including the one led by the guru of the firm Oracle, Larry Ellison, and another led by Craig McCaw and Paul Allen unions in France, Sweden, and initial time in 16 years, Great Britain, returning to claim the trophy lost 151 years earlier. After four months of round robin and elimination rounds, the Louis Vuitton Cup was decided in a series of nine races between Team Alinghi Ernesto Bertarelli and BMW Oracle Racing Team of Larry Ellison. Both reached the final with an impressive record of victories, and his confrontation showed a remarkable equality. Although the struggle to become Defiant was decanted from the side of Alinghi's 5-1, this part does not do justice to the intense struggle lived on the water. The battle to claim the Louis Vuitton Cup Challenger strengthened the while putting on the table the long-awaited duel between Coutts and his deputy at the head of Team New Zealand, Dean Barker. Unfortunately for the Kiwis, his team seemed to lack preparation and would be no match for Alinghi. Serious problems of material and not a few tactical errors led to a resounding victory of Swiss union 5-0. The America's Cup was moved from initial to Europe. Shortly after winning the America's Cup, the Société Nautique de Genève (SNG) accepted the challenge of the Golden Gate Yacht Club, launching the 32nd America's Cup A new protocol would set the plans for the event, indicating several notable changes. It soon became clear that this move to Europe would result in a change of water for the America's Cup What some understood as a problem for the new Defender (Switzerland has no sea), was transformed by the NGA in an advantage to justify the delay in the announcement of the new edition due to the selection of a venue that would guarantee stable sailing conditions. Nationality rules were abolished, allowing teams to sign the best regardless of your passport, and limitations in the technology exchange were eliminated for new unions could access information from previous teams. And above all, AC Management was created, a new authority that would oversee and control every aspect of the 32nd America's Cup, including the selection of Defiant. A new America's Cup was born. The 32nd America's Cup in Valencia (Spain), was a success on many levels. At auction the concession of venue, AC Management issues could benefit from never before achieved in the history of the trophy. A four years of competition led to the Port America's Cup for half of Europe, leading to an increasing interest in the event. In addition, teams coming from new territories such as South Africa and China, have increased the international nature of the competition. Several members of the community of the America's Cup were reluctant to this Protocol, and BMW ORACLE Racing, Larry Ellison on the front, challenged the validity of the new Spanish club. The court accepted the terms of this protest, and GGYC became the Challenger of Record again. When the GGYC and SNG were unable to reach agreement on the new protocol, the 33 nd America's Cup led to a Deed of Gift Match, such as the 1988 edition. Then accumulated several challenges initiated by both parties. In the end, the two unions turned to the lessons learned in 1988, and built huge multihulls to face. A few months before the start of the regatta, BMW Oracle Racing replaced its conventional rig a sail rigid, the largest wing ever built. When both mills faced the coast of Valencia in February 2010, the BMW ORACLE Racing trimaran, with its powerful wing, proved superior to the Alinghi catamaran. Captain James Spithill, their 30-year-old won the series 2-0. The America's Cup would be defended by a U.S. team in its 34th edition.